Shiness: The Lightning Kingdom will finally be released next week, but we have already been able to play the game for 5 hours on PC. It is too soon to tell you what we think (and we're under embargo), but you can see the first 30 minutes of the adventure for yourself and tell us what you think. 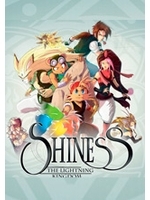 It is no surprise as we saw the game on several occasions in the past, but Shiness is no technical marvel. Still, its colorful world is pleasant to explore and the game runs smoothly in 4K (our videos were captured in 1080p but the game was running in 4K). 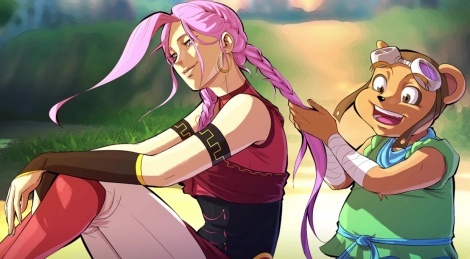 Our main grudge with the visuals is the huge difference between the character design in the comic book cutscenes and the 3D models themselves. I really liked the trailers and gameplay I've seen so far. RPG with Naruto UNS like combat it seems to be at first glance. I might get this if it turns out good.